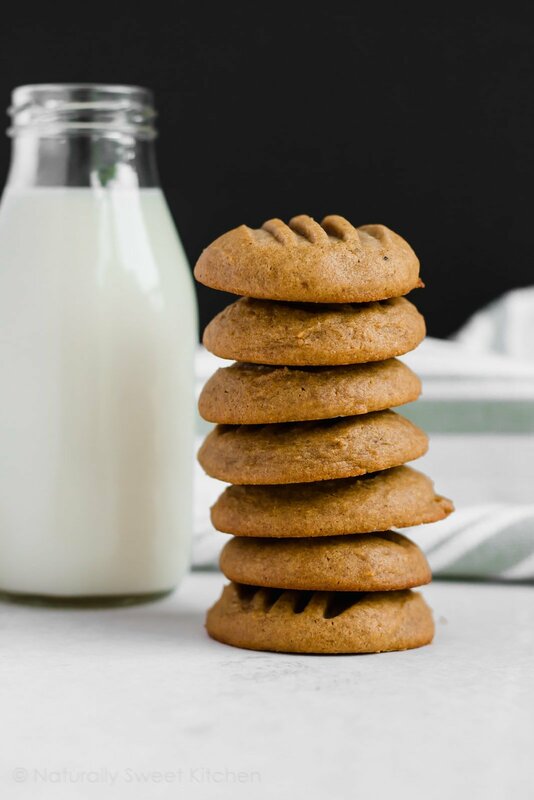 Tender, fluffy, sweet, and a little bit salty, these natural peanut butter cookies are the only PB cookie you will ever want to eat again. Perfect with a hot cup of coffee. What a way to open a blog, eh? 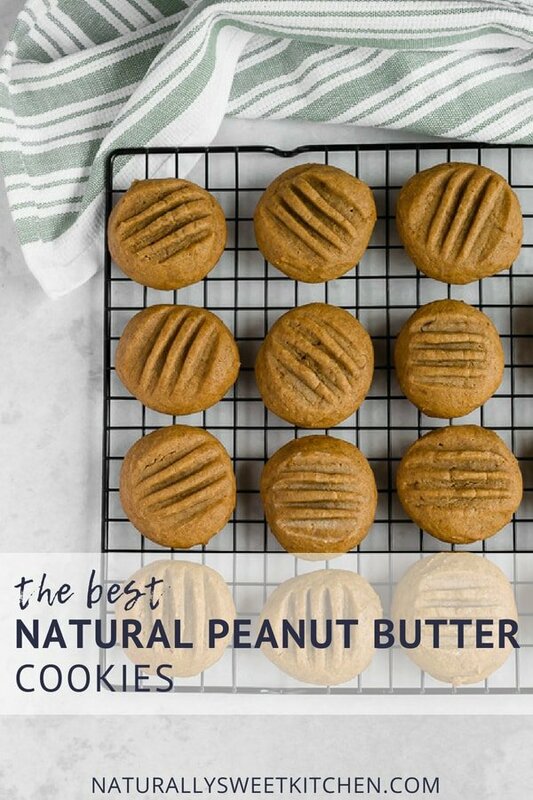 With the claim of creating something that is “the best.” But, honestly, these are the best natural peanut butter cookies you will ever eat. Period. I think my obsession with cookies began with my dad. As a kid, I would watch him “sneak” a hearty handful of cookies out into the backyard to, as he puts it, “fuel him through the hard labour.” Don’t get me wrong – my dad is a very industrious man. He works from the second he hops out of bed until the moment he passes out in his armchair late at night. If we couldn’t find him doing some sort of task around the house, he was usually found tinkering away in the garage or in one of his dozen backyard sheds. And once he got his massive flood light, even the darkness couldn’t keep him from his outdoor projects. But really. Does one need eight cookies to “fuel” them through cutting the grass? On a sit-down driven lawn mower? I’m still skeptical. My dad’s love of cookies is only surpassed by his love of peanut butter cookies. These are the kind that he’ll devour in two bites straight out of the deep freeze. And then go back for seconds twenty minutes later. This classic cookie has become so synonymous with my dad that I can’t help but think of him and my childhood every time I bake or eat these! Eating one of these cookies is like sinking your teeth into a plush pillow of peanut butter. The texture is so dreamy and cloud-like but with a very slight crisp to the edges and the peaks of the pressed rows. They’re exactly how I love my peanut butter cookies. 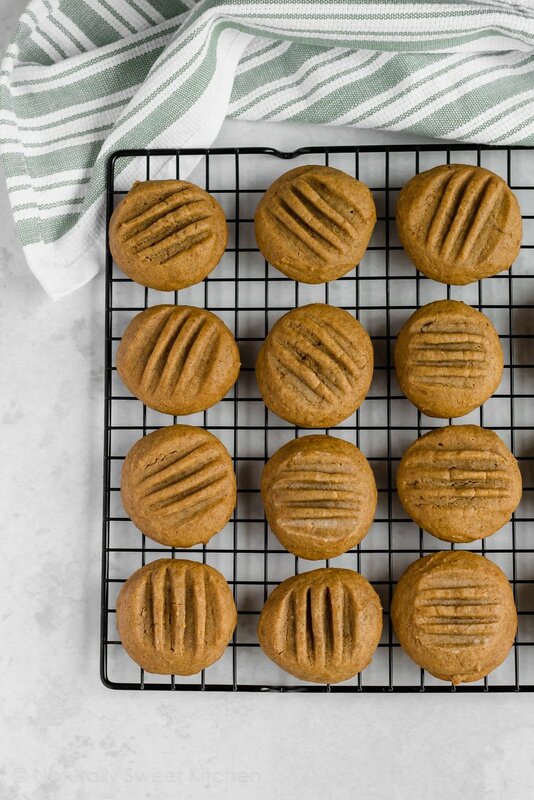 Only these are forty times better because they’re made with natural peanut butter and caramelly coconut sugar. Let me ask you something: do these cookies look thin and inferior to you? 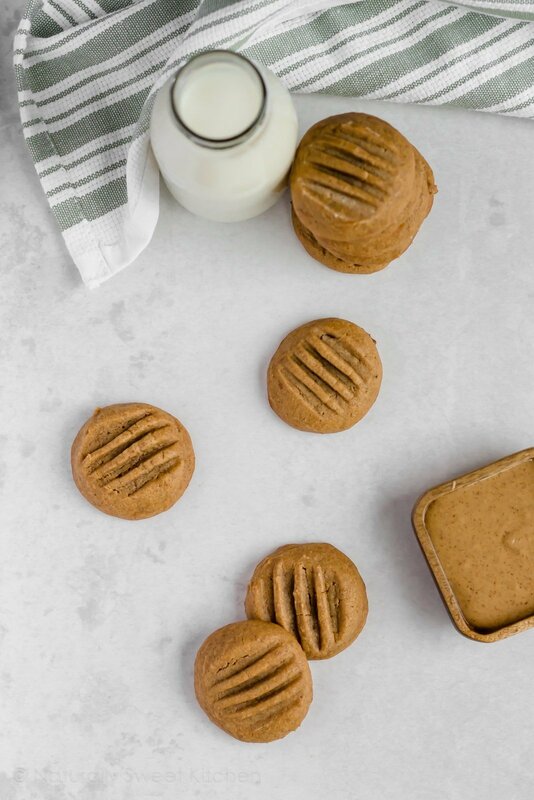 You can make incredible cookies that bake up sweet, soft, and plump with natural peanut butter and without using refined sugar. The deep caramel notes of coconut sugar provide an easy swap for brown sugar – no one will be able to tell the difference. It’s Father’s Day this Sunday, so these natural peanut butter cookies are my virtual offering to the best dad a girl could ask for. Thanks for jumping me over puddles, pretending to lose at Checkers, taxiing me and my friends around town, and fixing my car’s leaky sunroof (twice). But most of all, thank you for eating all the frozen cookies and saving me from weighing 300 pounds. If you’re still humming and hawing over making these, please note that tomorrow is National Peanut Butter Cookie Day. I swear I didn’t plan this – it’s fate telling you to eat cookies! Shuffle the flour, baking powder, sea salt, and cinnamon through a sieve into a medium bowl. Set aside. 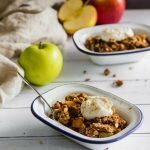 Beat together the butter, coconut sugar and natural peanut butter using either a stand mixer fitted with the paddle attachment, a hand mixer, or a wooden spoon and some elbow grease until the ingredients are creamy and slightly fluffy. Crack in the egg, pour in the vanilla, and combine well. Add the dry ingredients to the wet ingredients in two portions, mixing only until each portion is incorporated and the flour disappears. The dough will appear quite wet – this is completely normal. Cover the dough bowl with foil and refrigerate overnight for best results. If necessary, chill the dough for a minimum of 6 hours. 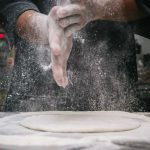 Once the dough has chilled, preheat the oven to 170°C and prepare a cookie sheet with a silicone baking mat or baking paper. Using a cookie scoop or tablespoon, measure out and roll 2-inch sized balls of dough and place them evenly spaced on the cookie sheet. Using a fork dipped in flour, press the dough balls down to flatten them slightly and create the traditional peanut butter cookie pattern. Bake the cookies for 9-11 minutes; they should be golden brown on the bottom and just up the edges of each cookie. Allow the cookies to cool on the tray for 5 minutes, then move them to a wire rack to finish cooling. These cookies are best consumed the day of baking to take advantage of the crisped edges and soft centres. 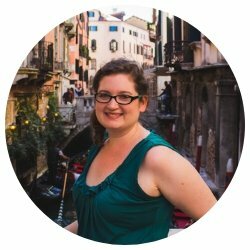 However, they will keep, sealed in an airtight container at room temperature, for up to 3 days. 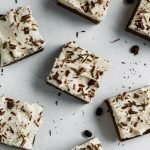 These are an absolute must make! Wonderful tribute to your dad. I hope he feels the same! 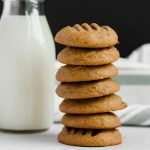 Thank you for reading – let me know what you think of the peanut butter cookies!